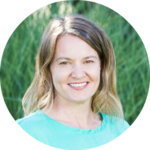 Clementine Portland Clinical Director Zanita Zody, PhD, LMFT guides her team with warmth and compassion as they provide comprehensive care to the adolescents who entrust their treatment in them. In this week’s blog post, Zanita shares tips on how to support your adolescent as they get ready to make the transition back to school. Transitions represent points of vulnerability. Imagine breaking down a cardboard box. It is along the points of transition that one focuses. Similarly, life transitions increase vulnerability to a variety of mental health concerns. In fact, most eating disorders develop during transitions. Because your children are still learning to manage the stress and emotions that come with transitions such as returning to school, they are at an increased risk of returning to familiar behaviors. Explore their excitement and fears. This may be met with resistance, especially if there is a history of avoidance. It can be difficult to determine if this is in service of the healthy self (HS) or the eating disorder (ED). Asking them to share the thoughts and feelings of both can help clarify internal conflicts and encourages them to open up by honoring the ED and any fears or grief they may have about letting it go. Consider the dialectic, which acknowledges two conflicting truths simultaneously (e.g., excited and afraid). Rather than glossing over this by “staying positive,” honor your child’s experience while also emphasizing motivation and skills to support success. Create a plan for managing potential challenges. How does wellness class align with their current exercise plan? Are they hoping to return to competitive sports? Any concerns about changing in front of peers in the locker room? Does health class cover nutrition and weight? Do they feel “left out” after being away? Do their peers eat lunch? Is this a time they were likely to use behaviors? How will snacks fit into their schedule? Do they feel pressure to “catch up” or perform academically? Help them identify coping skills that encourage mindfulness, distress tolerance, affect regulation, and interpersonal effectiveness. These skills are likely challenging for your child and arguably necessary for creating a sense of balance and well-being as they return to school. Discuss what they may want to share with peers and teachers and role play those conversations. Consider a 504 plan, which addresses individual needs and can offer critical supports. If potential stigma is a concern, weigh this against the benefits of additional support, recognizing too that these plans can be modified at any point. While returning to school can be frightening, with your support and open communication the return to “normalcy” can help facilitate a renewed sense of meaning and purpose, moving your child further towards recovery.